Matthew came to the firm in 2013 to work in the Service Department. After two years, he was promoted to Billing Specialist. 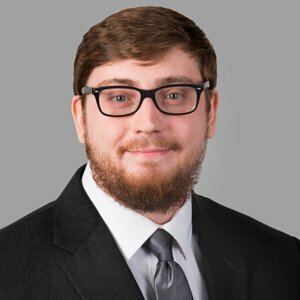 Now in the Finance Department, he still employs the same customer-service-focused attitude, both with clients and the attorneys/staff he works with. Matthew was born in Kansas, but has lived in NC most of his life. In his spare time, you can find him enjoying time with family, volunteering, crafting, or playing with his dogs, Annabel and Lucy.